Martyn Hilbert's Railway Photography - Last additions - Class 25, 25221 at Wigan Springs Branch. Class 25, 25221 at Wigan Springs Branch. Withdrawn Class 25 25221 pokes out from under Warrington Road bridge at the side of Wigan Springs Branch Depot on June 30th 1984. 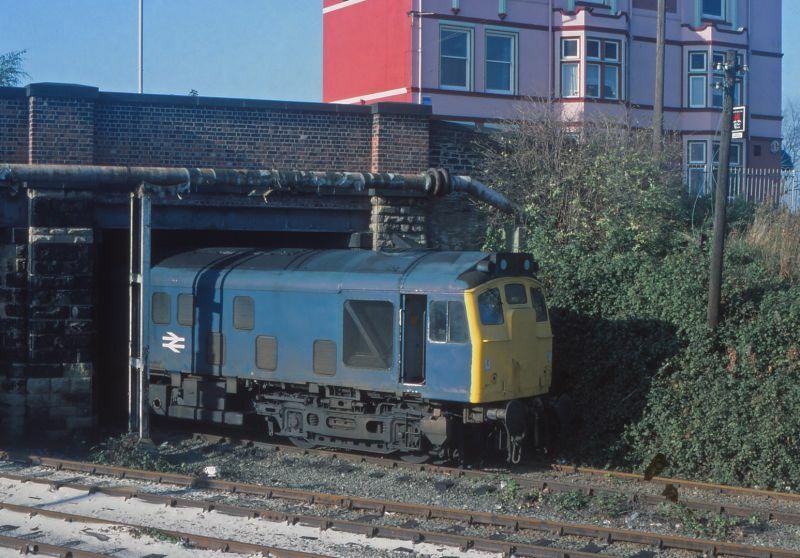 25221 was originally D7571, built at Derby Works in 1963, it was withdrawn in January 1984 and after lanquishing for a while at Wigan, was scrapped at Swindon Works in 1986.